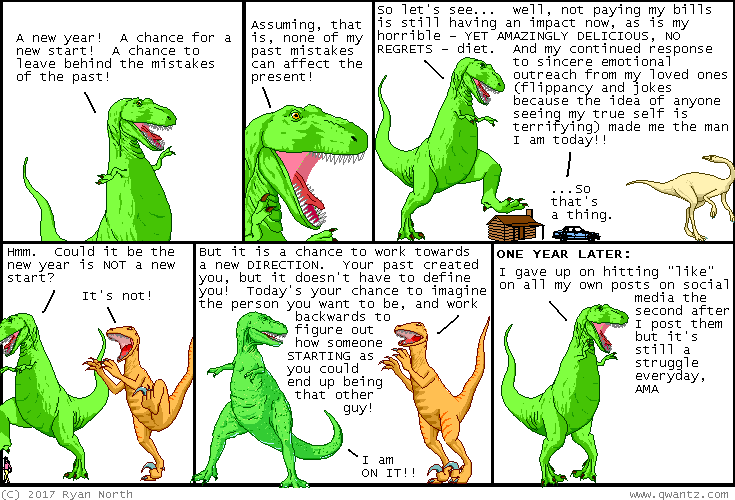 Dinosaur Comics - January 6th, 2017 - awesome fun times! January 6th, 2017: HAPPY NEW YEAR, everyone! I started 2017 by eating poutine with pals - the same way I have started it for the past eight years - so it's off to a great start so far!